A “separation of concerns” is practiced, in which the responsibility of software engineers is confined to turning software requirements into verified code. As part of three-year research project (2015-2017) funded by the Finnish Funding Agency for Technology and Innovation, we are collaborating with four ICT companies to help them improve their decision-making relating to software or software-intensive products, and to be able to predict the overall value of their decisions. All companies already employ a value-based approach to decision making; however decisions are based on tacit knowledge, in the sense that decision makers’ mental models have not been explicitated, and alternatively combined and used with the help of data visualisation tools/’what-if’ scenarios in support of their decision-making processes. The goal and main contribution of this keynote is to detail our proposed framework towards value-based decision making and estimation, in addition to some empirical results, in order to support those companies who wish to improve their value-based decision making, and to predict the value of their decisions. As will be detailed later, the proposed framework also includes the theory of organizational knowledge creation and the Expert-based Knowledge Engineering of Bayesian Networks process. Short Bio: Emilia Mendes is Full Professor in Computer Science at the Blekinge Institute of Technology (Sweden), and also Distinguished Finnish Professor at the University of Oulu (Finland). She obtained her PhD in Computer Science from the University of Southampton (UK) in 1999, and then initiated her full time academic career at the Computer Science Department at the University of Auckland (NZ), where she worked for 12 years. After leaving NZ, and prior to moving to Sweden, she was Associate Professor at Zayed University (UAE) for a year. 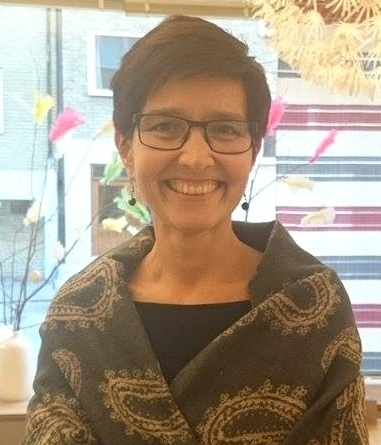 Her main research contributions were made to date in the application of machine learning techniques to Web and software effort estimation; however, she also carries out research in collaboration with colleagues and via the supervision of PhD students, in a wider spectrum of research topics (e.g. value-based decision making, software process improvement, personality in software development teams, computer science education, machine learning applied to healthcare). Overall, she has authored/co-authored over 200 research papers at international journal & conference, with seven best paper awards to date (2 at ESEM). She is the co-editor of a book (2005 – Web Engineering) and sole author of two books (2007 – Cost Estimation Techniques for Web Projects; 2014 – Practitioner’s Knowledge Representation: a pathway to improve software effort estimation). Finally, she worked in the ICT industry for ten years as programmer, business analyst and project manager prior to moving to the UK in the end of 1995 to initiate her PhD studies. Computational linguistics has come a long way, with many exciting achievements along many research directions, ranging from morphology and syntax to semantics and pragmatics. Simultaneously, there has been a tremendous growth in the amount of social media data available on web sites such as Blogger, Twitter, or Facebook, with all of these data streams being rich in explicit demographic information, such as the age, gender, industry, or location of the writer, as well as implicit personal dimensions such as personality and values. In this talk, I will describe several recent projects undertaken in the Language and Information Technologies group at the University of Michigan, under the broad umbrella of computational sociolinguistics, where language processing is used to gain new insights into people’s values, behaviors, and world views. I will share the lessons learned along the way, and take a look into the future of this new exciting research area. Short Bio: Rada Mihalcea is a Professor in the Computer Science and Engineering department at the University of Michigan. Her research interests are in computational linguistics, with a focus on lexical semantics, multilingual natural language processing, and computational social sciences. She serves or has served on the editorial boards of the Journals of Computational Linguistics, Language Resources and Evaluations, Natural Language Engineering, Research in Language in Computation, IEEE Transactions on Affective Computing, and Transactions of the Association for Computational Linguistics. She was a program co-chair for the Conference of the Association for Computational Linguistics (2011) and the Conference on Empirical Methods in Natural Language Processing (2009), and a general chair for the Conference of the North American Chapter of the Association for Computational Linguistics (2015). She is the recipient of a National Science Foundation CAREER award (2008) and a Presidential Early Career Award for Scientists and Engineers (2009). In 2013, she was made an honorary citizen of her hometown of Cluj-Napoca, Romania. The lecture will present my point of view about the advances of Artificial Intelligence and also will present how these advances are being used by the UFRGS AI and Education Research Group, in particular, to solve the real problems of Brazilian education. 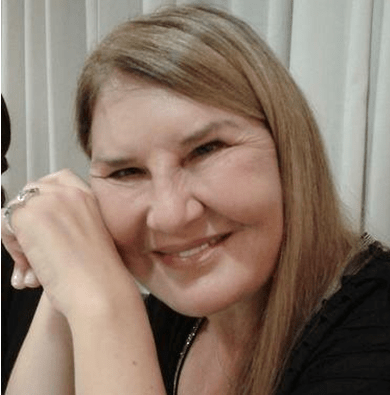 Short Bio: Rosa Maria Vicari is a full Professor at the Federal University of Rio Grande do Sul. UNESCO chair in ICTs in South America. PhD in Electrotechnical Engineering and Computers by Coimbra University (1990). Acts on the computer science area, mainly in those themes: multi-agent systems, intelligent tutoring systems, computer in education and distance learning.